Dr. Karl Meyer is originally from Illinois and after graduating from Duke University with a Bachelor of Science in Botany in 1976 attended the University of Illinois, College of Dentistry. Following graduation with a DDS degree in 1980, Dr. Karl Meyer relocated to Raleigh where he was in private practice until 2009. 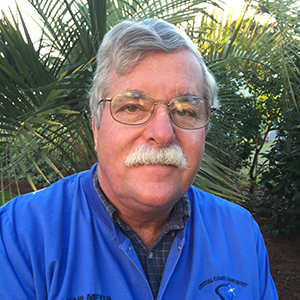 He moved to Cape Carteret, NC in 2009 and has continued to practice general dentistry at Crystal Coast Dentistry with a strong interest in treating patients who benefit from removable prosthetics. When not busy with dentistry he pursues a variety of outdoor activities.